Rendering of the 48-story Innovation Tower that will be developed on Main Street near the Texas Medical Center. 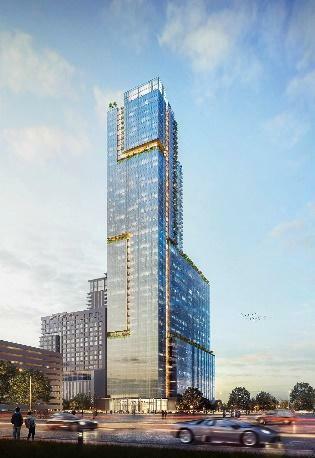 HOUSTON – (Realty News Report) – Medistar Corp. will begin construction later this year on Innovation Tower, a 48-story, 1.6 million SF mixed-use project on Main Street by the Texas Medical Center, according to the Transwestern real estate firm. 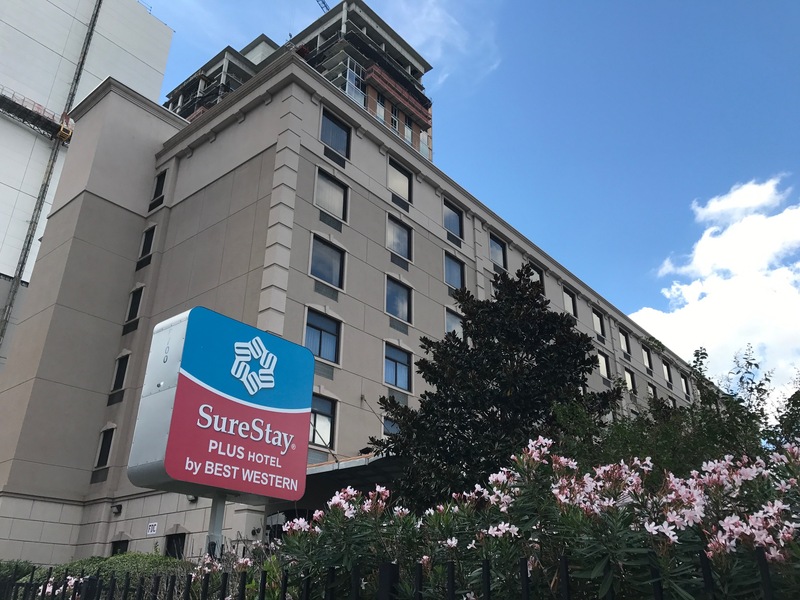 Innovation Tower will be located at 6700 Main Street, the site of the Sure Stay Plus by Best Western hotel, which is being demolished. Located just north of Holcombe Boulevard, the site is on the west side of Main Street near Southgate Boulevard and Texas Children’s Hospital. Focused first on meeting needs of biomedical, technology and healthcare users at the Texas Medical Center, Medistar is developing the Innovation Tower in two phases. Phase 1 offers 476,500 SF of medical and life science office space with 35,000-SF floorplates above a parking garage for 1,700 vehicles, with retail and a penthouse-level restaurant and lounge. Medistar will develop Phase 2 to respond to market demands, with the possibility to include 410 luxury high-rise residential units or additional medical, biomedical and life science office space. Medistar’s Monzer Hourani announces Medistar’s preliminary plan at 2017 event. Photo credit: Ralph Bivins, Realty News Report. 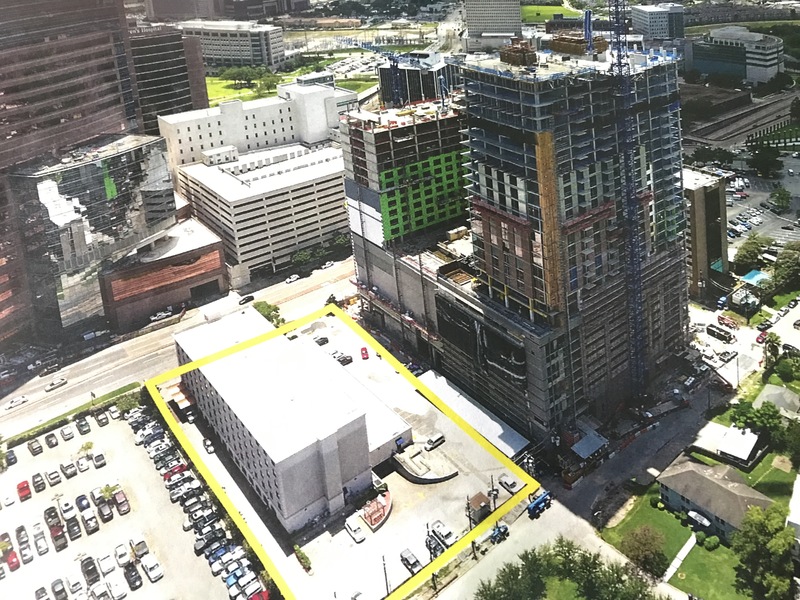 “Once completed, Innovation Tower will be the first Class AA tower in the Texas Medical Center offering world-class building amenities to create a distinct live/work/play environment,” said Brasell. The medical building will be adjacent to the new 350-room InterContinental Hotel and the new 35-story Latitude Med Center apartment tower, which opened last year. Medistar developed the InterContinental in partnership with TRC Capital Partners and the 375-unit apartment tower, which features micro-units under 400 SF, was developed by a Greystar/Medistar partnership. 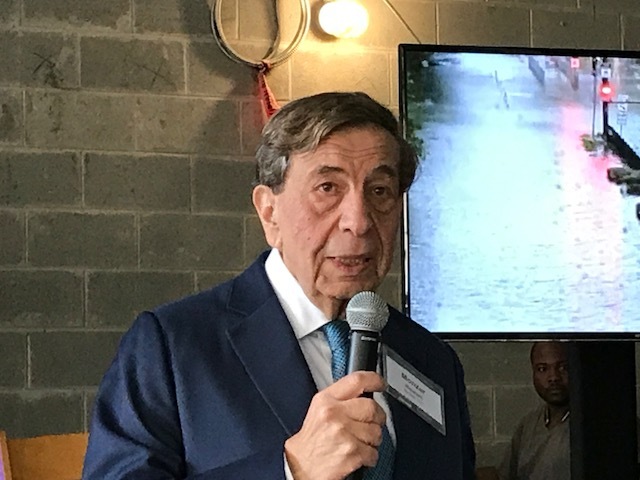 Medistar founder Monzer Hourani first unveiled preliminary plans for the medical tower at a topping-out ceremony in November 2017 for the Greystar residential tower. “The medical tower will be a huge tower with a parking garage, restaurants and shops around it,” Hourani said at the time. Hourani said Medistar’s new medical tower will dovetail with the growing demand emerging from the 1,345-acre Texas Medical Center, the largest medical complex in the world with 21 hospitals, a number of medical schools and more than 100,000 employees. The site of Innovation Tower is outlined in yellow in this 2017 image. Transwestern’s Houston healthcare team has executed 522 healthcare transactions during the last 24 months and more than 2,000 transactions during the past five years. The Medistar project brings the team’s healthcare leasing and management portfolio to 69 properties totaling more than 5 million SF on behalf of some of the largest healthcare institutions in the country, including Memorial Hermann, Baylor College of Medicine, Texas Children’s Hospital and HCP. Innovation Tower will be constructed on the site of the Sure Stay Best Western hotel on Main Street. Photo credit: Ralph Bivins, Realty News Report.